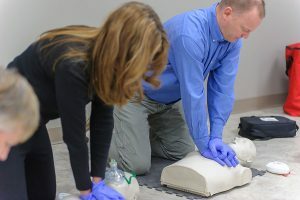 This one-day course offers an overview of first aid and cardiopulmonary resuscitation (CPR) skills for the workplace or home. 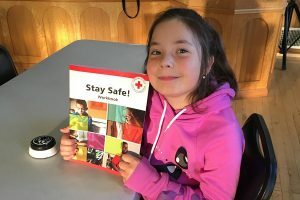 Course covers skills needed to recognize, prevent, and respond to circulation emergencies for adults children and infants. Other topics include airway and breathing emergencies, as well as the prevention of disease transmission. We are located in a renovated church building in downtown Prince George, BC Canada. extended hours when courses are running. The office is usually closed for statutory holidays but the building will be open for scheduled courses. Our courses and class schedules are listed online on this website. You can register online but registration is not complete until payment is received. 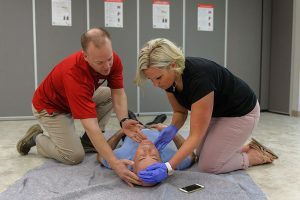 Lifesavers offers a wide range of approved first aid and safety programs taught to the current course standards of our partners.